East Kilbride Community Trust is grateful to anyone who wishes to spare even 10 minutes of their day to help us achieve our aims of a healthier, happier community! 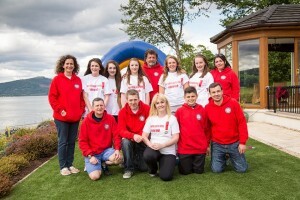 Volunteers are essential to ensure the smooth running and concentration of efforts within the East Kilbride area. No matter what your skills base, please get in touch, we have many roles looking to be filled, such as; Administration, Marketing, Promotions & Communications, Fundraising, Gardening and Sports Coaching. We look forward to welcoming you to our team!